We had the opportunity to travel to Australia in February to visit Barry. What a trip and too much to tell in one post, so I wanted to start with the animals. A photo and a little about each animal, more to help me remember what all we saw than anything. Enjoy. It was such a treat to see a wild kangaroo. Then to see the joey poke his head out from the pouch definitely put this experience over the top! I spotted this kangaroo and joey on the way down the mountain from O’Reilly’s. A rare moment of movement! 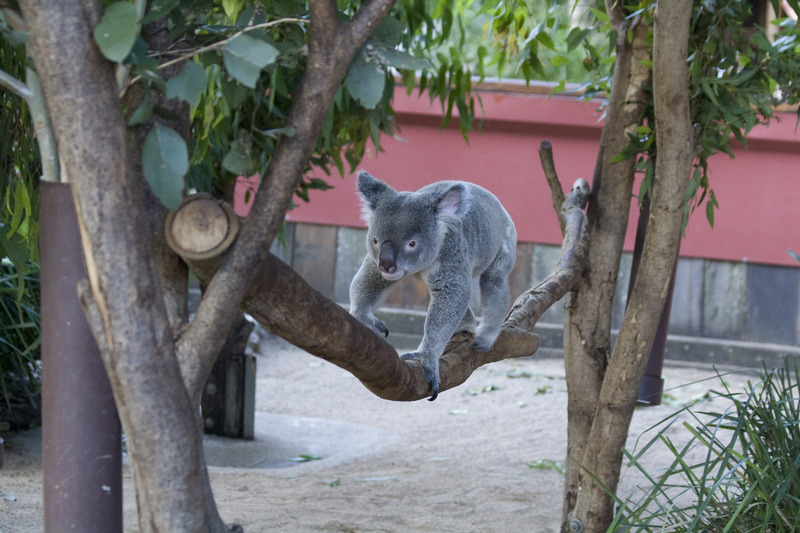 Koalas are marsupials and eat eucalypt leaves. Eucalypt leaves are low in protein, high in indigestible substances and contain compounds that are toxic to most species. A zoo worker said it is similar in nutrients to eating cardboard. This is why koalas are usually either eating or sleeping. We got to pet koalas and the fur is thick and reminds me of wool. Wombats are marsupials that reminds me a bit of a groundhog. They dig burrows and usually move slowly. Although when threatened, the wombat can run up to 25 mph for up to 90 secs. So be mindful of these guys. Talk about a rocking head piece. The cassowary is a flightless bird that reminds me of an ostrich, but with a horn-like casques on its head. It eats fruit and one theory of the casques is protection from falling fruit. I have only ever seen cockatoos at an aviary or in a cage, but these two are wild. 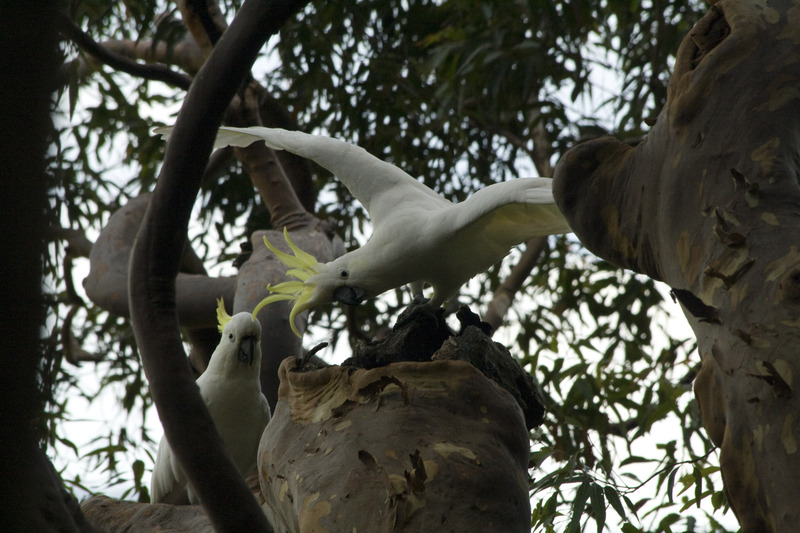 Cockatoos are easily recognized by their showy crests (head feathers) and curved bills. And boy are they loud squawkers! You know this bird call when you hear it. 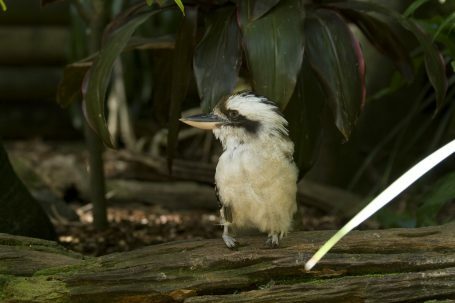 Imagine an obnoxiously loud laugh and you’ve got the laughing kookaburra. This is a tawny frogmouth, a member of the nightjar family. The wide beak helps derive its name. A nocturnal bird that rests during the day in trees, keeping still and using camouflage to avoid detection. 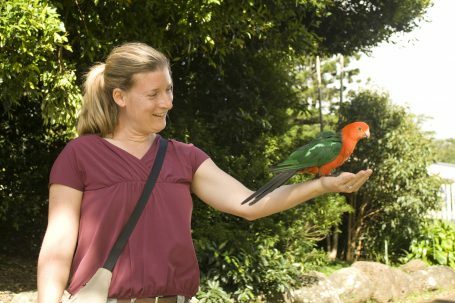 We saw several lorikeets in the wild. I use the term “wild” loosely. They know people have food. That is why this one landed on my hand. I just held my hand out like I had seed in it and he flew down to check things out. This guy is not related to the american turkey. We saw numerous brush turkey in the rainforest at O’Reilly’s of all places. On our first sighting, we thought this was a pretty neat looking bird, and then we saw them everywhere and they quickly became unimpressive. The noisy miner is a common and aggressive bird. This is not the best picture, but it is a lyre bird. We spotted him in the Blue Mountains. 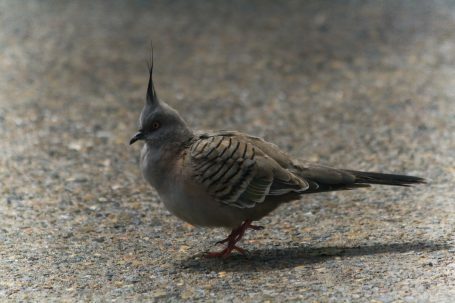 It reminded me of a road runner. The lyre bird has an amazing capacity to mimic other bird calls. I wonder how the lyre bird would compare with the mocking bird on various bird calls? I may be able to get over my distain for pigeons if we had the crested pigeon in the USA. The feather spike headdress is a fun look. Most notable to me about Australia’s free-roaming wild dog is that they look very much like my brother’s dog, Sydney. 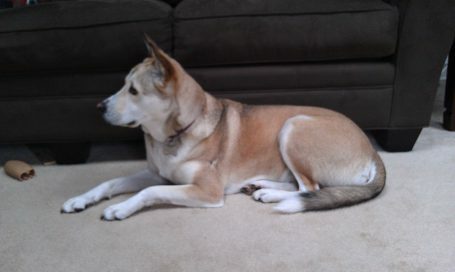 Is she part dingo? You decide. Porcupine or anteater? A bit of both, this little guy, the echidna, is known as a spiny anteater and is an egg laying mammal. With transparent ears, a long tail, long snout and sharp claws, the bilby is a most unusual nocturnal animal. Bilbies are great at burrowing, making elaborate systems of tunnels in the wild. 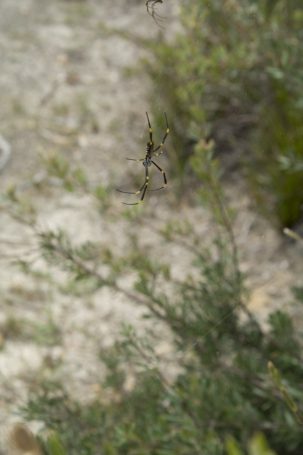 I have no idea what kind of spider this is, but we saw TONS of them at the Sydney Harbour National Park. The idea of running into a spider’s web makes my heart race, so I kept my eyes peeled for these guys once we saw several. I attempted to identify him using the trusty Google, but quickly had my fill of looking at spiders and am comfortable simply calling him the creepy australian spider we saw too many of! 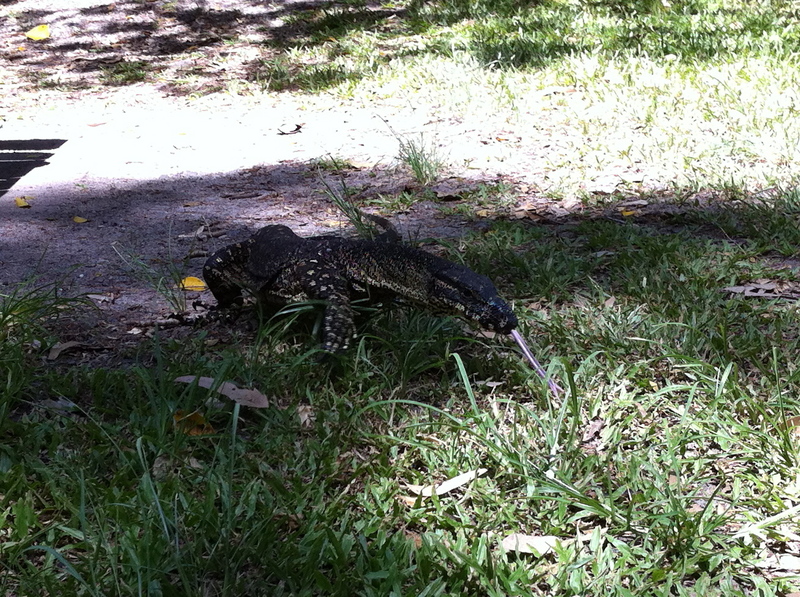 This goanna was spotted at a park near Noosa. He was just wandering around. Take a look at the long tongue! Oh the joys of seeing amazing creatures. God sure was imaginative when he created the creatures of this earth.